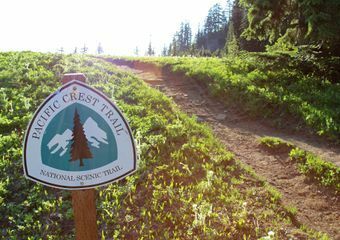 The next category in our Pacific Crest Trail gear posts covers how to pick your shelter for the Pacific Crest Trail, a choice you’ll want to make carefully. Your shelter should fit your ideal combination of weight, livable space, and convenience. Your shelter should reflect the rest of your pack system. 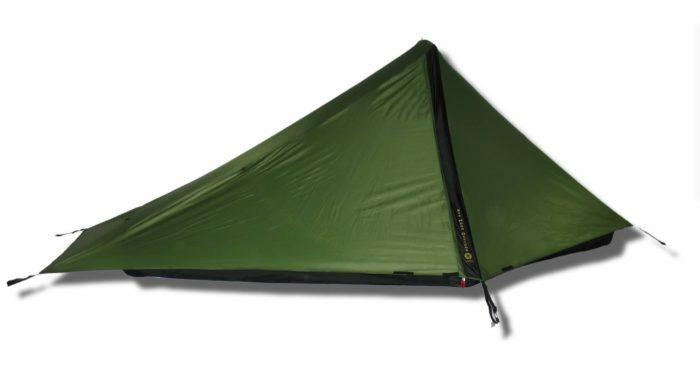 If you aren’t going ultralight, don’t buy a minimalist tarp. Contrary, if you aren’t a fully loaded comfort seeker, you probably won’t want an expansive, featured freestanding shelter. The ideal shelter for most hikers will fall somewhere in the middle. 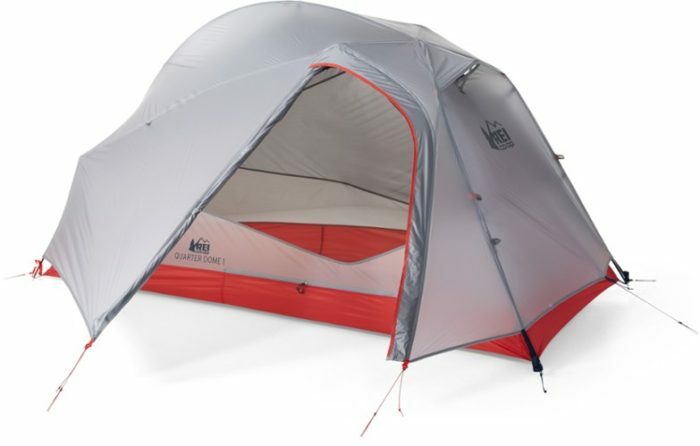 An easy-to-set-up semi-freestanding option with lightweight materials will work for most hikers. That said, don’t attempt to hike any part the PCT—even Southern California—without a shelter. You could see snow in Southern California, and the rain in Washington is no joke. The PCT often rolls far above treeline, so a shelter can be just as useful for wind protection as it can be for precipitation. When considering shelters, find something that is easy to set up given your skill level and predicted desire to fight with a finicky tarp after a 30-mile day. Watch YouTube videos on how the shelter is set up and only pursue that shelter if the setup looks doable. Even better—find experienced hikers in your area, go on an overnight, and have them teach you to set up their shelter. Next, consider what sort of coverage and protection you want. Fully enclosed shelters tend to offer more protection, but can result in significant amounts of condensation inside your tent. This happens when water droplets from your breath or from the air form on the inside of the tent. Many hikers unfamiliar with condensation have woken up to water dripping from their shelter ceiling and thought their shelter was leaking. A tarp shelter is designed to ventilate well and minimize condensation. If you have a lot of experience picking out protected campsites and setting up a tarp in various modes, you don’t need as much coverage and will experience less condensation as a result. Lots of hybrid models exist. 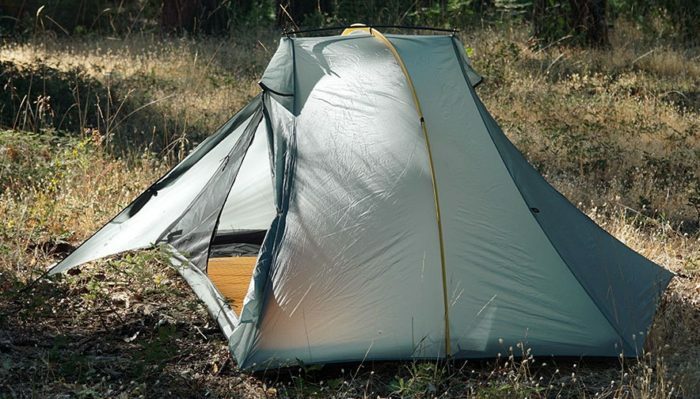 If you lack the skill required to set up a tarp or hybrid tent in a variety of conditions and don’t have the time to learn, consider a freestanding tent. Single-wall tents will be lighter, but double-walled tents can often be more straightforward to set up. 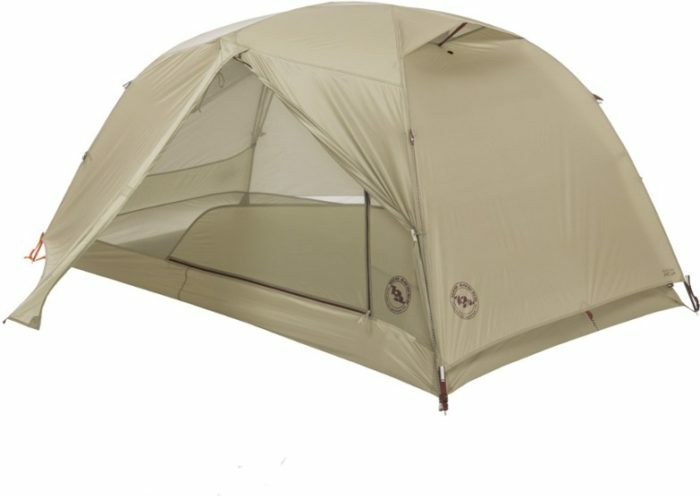 Some double-walled tents will be better at keeping condensation out of the inside of your tent than single-wall tents, but ultimately, your campsite selection will play just as an important role in condensation accumulation, regardless of whether you carry a single-wall or double-wall shelter. Many hikers find that Tuolumne Meadows up to Oregon can rival the tropics for mosquitoes. 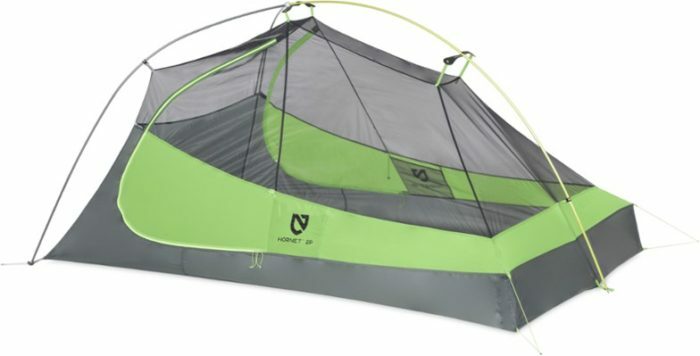 Whether the bug netting is built into your shelter, is removable and comes separately, or is part of a system with your bivy or a bug headnet, you will need a bug plan for at least part of this trip. 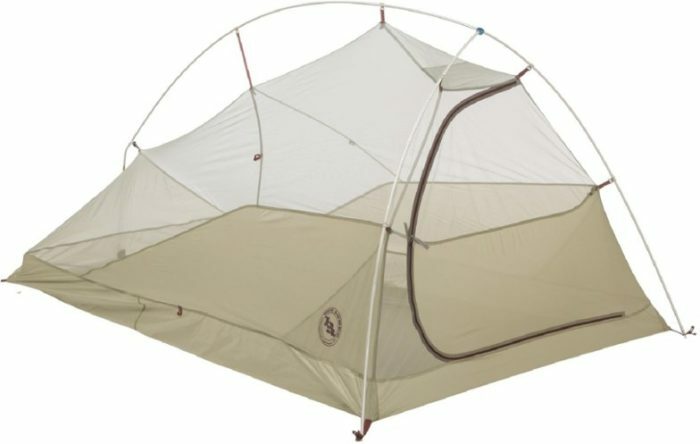 Many tents or tarps or hybrid tent combos are meant to be used with trekking poles as the support poles. These kind of shelters reduce the weight of gear you will carry. An excellent shelter has a taut setup without loose material that will flail in the wind during the night. Water will roll right off these shelters during storms. You can tell from looking at photos of shelters. Some designs are better than others. 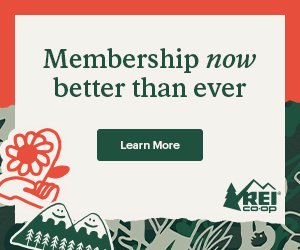 Practice setting up your shelter and make sure you know how to make your ridgelines tight. Most PCT hikers carry a sheet of Polycro or Tyvek to use as a groundsheet. This will either protect your shelter’s bathtub floor from the harsh ground of the PCT, or will be the floor of your floorless shelter. 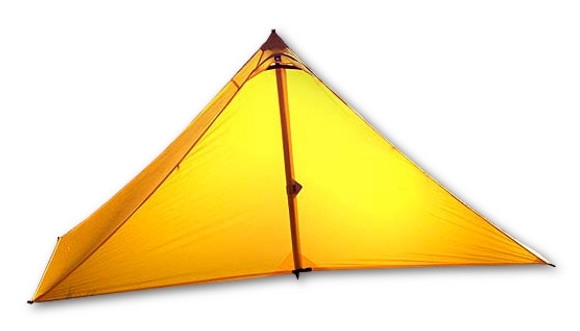 This groundsheet can also be used to set your sleeping pad on when you’re cowboy camping. After rain, you can set the groundsheet on the wet ground and dry your gear on top of it. Some PCT hikers write “Hiker to Town” on the back of their groundsheet to aid in hitchhiking. 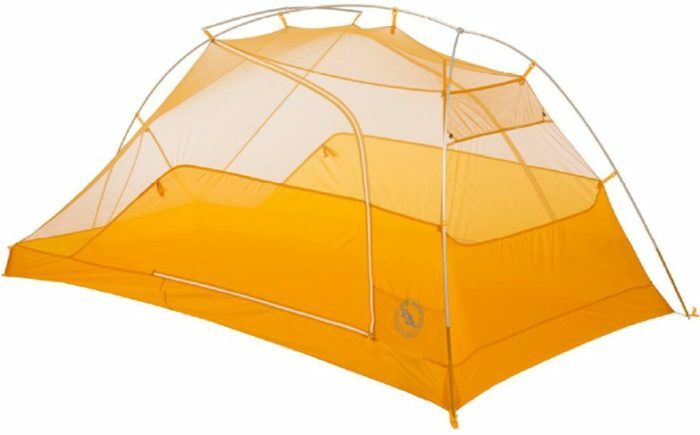 A groundsheet is a PCT hiker’s multitalented friend. Whatever shelter you choose, make sure it is big enough for you AND all your gear. 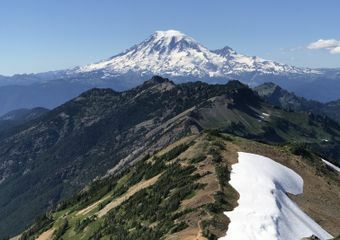 Many solo hikers opt for a two-person shelter for more space, especially if they have wet gear that they’d rather not have touch their sleeping bag at night. Look at the height of the shelter. Many thru-hikers’ shelters don’t have room to sit, especially for taller hikers. Shelters are a prime example of where knowledge and skills can save you some money and weight. Tarp-tents that look more tent-like will cost more, whereas shelters that look more tarp-like tend to be less expensive. 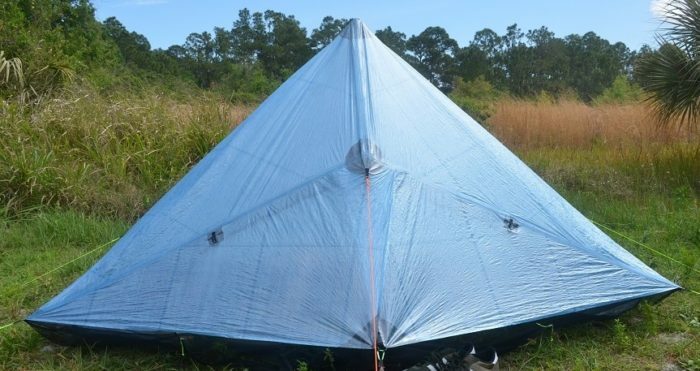 If you’re talented at setting up tarps and choosing protected campsites, you can save a lot of money (and weight) by just using a simple flat tarp built from silnylon or Dyneema, formerly known asCuben Fiber, not the blue tarps you get at Walmart. Here are a few selections of commonly seen shelters that will serve you well during a PCT thru-hike.